The Urdu daily had reported that the Congress chief who met Muslim intellectuals earlier this week had told them that the Congress was a party of Muslims. 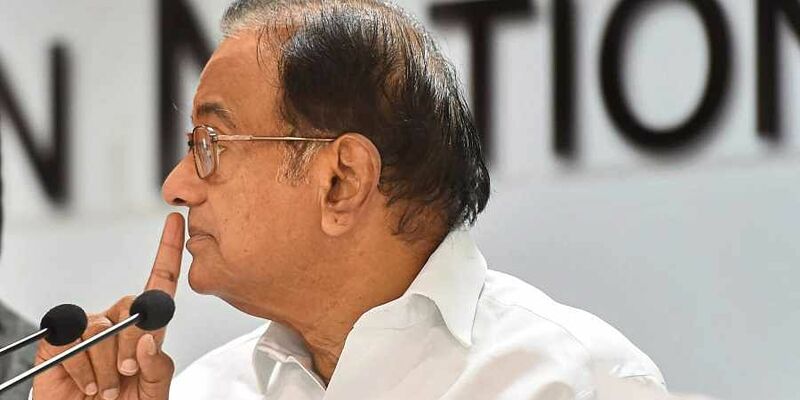 NEW DELHI: Senior Congress leader P Chidambaram today hit back at BJP leader Nirmala Sitharaman for seeking clarification from Rahul Gandhi over his remarks reported in an Urdu daily, saying the defence minister has all the time in the world to inquire into the religious affiliations of parties and persons. The Congress has dismissed the media report as a "rumour" and asserted that it was a party of 132 crore Indians. However, latching onto the issue, Sitharaman had yesterday demanded that Rahul Gandhi clarify his stand and alleged that the Congress was "playing up the card of religion and communal division" . In a series of tweets, Chidambaram today took a swipe at Sitharaman over her remarks. "After taming Pakistan, eliminating terrorism, stopping infiltration and acquiring Rafale aircraft, the Defence Minister has all the time in the world to inquire into the religious affiliations of parties and persons! "the former finance minister said. The Defence Minister says there are 'plans to incite riots in the run-up to Lok Sabha election'. She should share her secret (?) information with the Home Minister. "The Defence Minister says there are 'plans to incite riots in the run-up to Lok Sabha election'. She should share her secret information with the Home Minister,"he tweeted.